War and peace panels represent without doubt the best work I've ever done… I dedicate them to humanity. After four years under the guard of the Portinari Project, the painter's masterpiece will be inaugurated at UN Headquarters, in ceremony-show at the great House of the General Assembly. Donated by Brazil to the UN in 1956 and inaugurated in September of the following year, the panels War and Peace, of Candido Portinari (1903-1962), they returned to the headquarters of the institution, in New York, fully restored and after four years in national and international roaming promoted by Portinari Design. The monumental masterpiece, already reinstalled in their place of origin-the hall of the UN General Assembly –, and currently covered by a translucent veil, will be inaugurated in the United States in 8 September, during the ceremony conducted by a film-show directed by Bia Lessa. Among the guests will be heads of State, Delegates, UN ambassadors, authorities, artists, intellectuals, and celebrities from all over the world. "The idea is to propose a ceremony that inspires reflection of all about the poignant final message of Portinari in the current context, on the limits of mankind today from the human point of view, ecological and economic, and the immediate need for transformation of living on the planet, strengthening the essence of UN mission, to turn afflictions into hope, war in peace ", explains João Candido Portinari, founder and General Director of the Portinari Project, the only child of painter. The Portinari Project plan to perform at the large Plenary of the UN General Assembly (UNGA) a film-show, directed by Bia Lessa, which highlights the idea of building a fairer world, more respectful of the sacred life, calling the convergence of different cultures, linguistic and artistic diversity of peoples and of human contradictions. The work establishes a direct relationship between what is being presented live and images that show the dialogue between the music, the literature, the cinema, photography, the philosophy, Science and statistics. At the end of the show, the panels will be discovered to the appreciation of the audience. "The film-show proposes the discussion by which gave life to the Portinari paint this monumental work. Our idea is to show that the search for peace must be a permanent project of man ", claims Bia Lessa. The ceremony at the headquarters of the institution represents the last step in the And War project Peace, that allowed the public access the most important work of Portinari – today the panels cannot be seen even during the guided tours of the institution. The work back to the Hall the UN General Assembly after full restoration workshop open to the public and appreciation of more than 360 thousand people in Brazil and in France during the four years that remained under the custody of the Portinari Project. "The greatest wish of Portinari was peace, the fraternity, Justice. Ethical desire, that makes this work go far beyond art. The panels War and Peace They also represent the culture of peace exercised historically by Brazil ", says John Candido. The relationship of painter Candido Portinari with the United States began in 1935, When participated with the screen Coffee of exposure in the Carnegie Institute, in Pittsburgh, and was awarded the second honorable mention – the previous year given the Salvador Dalí. Four years later, Portinari painted panels Rafts of the Northeast, Rio Grande Do Sul Scene and Night of San Juan for display in the New York World's fair. In 1940, presents the exhibition Portinari of Brazil, at the Museum of modern art, New York (MoMA), in which they were presented 180 works of the painter. On this occasion Portinari is intensely celebrated in the u.s., painting the portraits of the Rockefeller family, the pianist Arthur Rubinstein, the Princess Helena Rubinstein, among many others. His work The Môrro is acquired for the permanent collection of MoMA. In 1941, the University of Chicago publishes Portinari, his life and art, first book in the world dedicated to the life and work of the painter, with Foreword by the American artist Rockwell Kent. On this occasion, by their firm convictions about the race issue, Portinari is invited to participate in exhibition at the art gallery of Howard University, in Washington, opened by the first lady of the United States at the time, Eleanor Roosevelt. Even in the u.s. capital are inaugurated four large frescoes by Portinari in the library of Congress, in 1942, with the theme The discovery of the Americas. The invitation the Portinari was made by American poet Archibald McLeish, Director of space. A Project War and Peace started in 2007, When the Portinari Project, with support from the Federal Government and State and private companies, initiated negotiations with the UN to bring the murals to Brazil. The ancient desire of João Candido Portinari make this masterpiece accessible to the public — since the panels can only be seen by the delegates of Member States —, began to materialize when the institution announced the need for a reform in its headquarters in the United States. 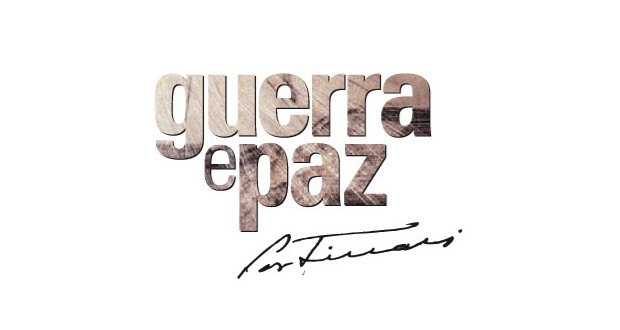 "We can say that the starting point of this project was the decisive opening statement of the United Nations General Assembly, made by the President of Brazil at the time, Luiz Inácio Lula da Silva, who, for the first time in the history of the opening speeches — always delivered by the Brazil — recognised the importance of War and peace as two large ' ambassadors ' of the essence of the UN mission ", Remember John Candido. In 2009, War and peace left New York for restoration and enjoyment of Brazilians. The following year, the murals were featured in the Theatro Municipal do Rio de Janeiro, then, be restored in workshop open to the public, in the Gustavo Capanema Palace. After the season in Rio, the exhibition was opened War and peace, Portinari in Latin American Memorial, in São Paulo, presenting for the first time along with nearly a hundred studies panels of the painter for War and Peace. The show, He received the prize for best Exhibition of the year by the Brazilian Association of art critics-ABCA, followed then for his last national stage, in Belo Horizonte, at the Cine Theatro Brazil Vallourec. In 2014, the Portinari Project managed — after long and delicate articulation with the President of France and the Grand Palais —, whose turning point was the date of the then Culture Minister Marta Suplicy with his French colleague Aurelie Filipetti and with the Presidency of the Réunion des Musées Nationaux, perform the step of roaming international work. War and Peace went to Paris for display in the Hall of honor at the Grand Palais. It was the first solo exhibition of a painter in that space, one of the finest in the world for art. The exhibition, that was in theaters for a month, also showed the intense relationship of the painter with the France, through pictures, documents and letters. This year, Besides the reopening at the UN, the Portinari Project is working on a documentary about all of the murals roaming. "The movie War and Peace will narrate the exciting path that traveled with the panels. Invite Carla Camurati to drive and made a matter of record all steps of the project in these five years. These images are beautiful, historical, We want to bring to the general public. We think partnering with television channels and distribute DVDs to public schools in Brazil ", count Maria Duarte, Executive Director of the War and peace project. The implementation of the reopening ceremony of the panels War and peace at UN Headquarters, in New York, was only possible with the sponsorship of TAM Airlines and Multiplus. It was also crucial financial support from BNDES, without which the War and peace project It would not be possible, as well as the support of the UN, the Itamaraty and the Ministry of Foreign Affairs.